A Middlesbrough pharmacist killed his wife using a plastic bag in a bid to claim insurance payment and move to Australia with his boyfriend, a court heard. Mitesh Patel, 37, accused in the murder of his wife Jessica Patel, 34, is on trial at Teesside Crown Court. The couple ran Roman Road Pharmacy in Linthorpe, Middlesbrough. Patel allegedly strangulated his wife with a plastic bag at their Victorian home in a wealthy suburb of Middlesbrough on 14 May this year. “Jessica Patel had been killed as a result of pressure being brought to bear on her neck. She was strangled,” Nicholas Campbell QC, prosecuting said. 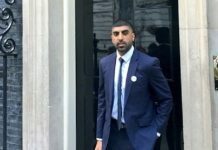 Patel, who was initially treated as a witness, denies the charges. He was booked after police found scratches on his neck. Prosecution said Patel had ‘ample’ motive for the crime. He stood to gain £2 million from life insurance policies in Jessica’s name. Further, he was in love with Amit Patel, a doctor from Sydney, Australia, and allegedly cheated on his wife with men he found on dating app Grindr. “He was planning to use the money to start a new life in Australia and that life would be shared with the person who he really loved, one who he regarded as his soul mate – another man,“ Campbell said. 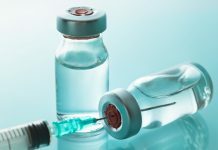 Internet searches by Patel, stretching back to over five years, reveal the pharmacist exploring the amount of insulin needed to kill a healthy non-diabetic. His search terms include death of spouse, arranging funeral, life after the loss of spouse among others. The murder happened after Jessica’s embryos had been frozen as part of their second round of IVF. Campbell accused Mitesh of planning to raise the child with Amit down under. Mitesh was obsessed of having a baby and insisted on going through with IVF, the jurors heard. He also lied to several people, including his personal trainer Andy Gray, that they already had children. Campbell said: “Mitesh Patel told Andy Gray that he and Jessica had eight month old twins. He told his trainer the twins were conceived using IVF and that Jessica had just returned to work. The couple met as children, went to university together and married in 2009. but, he was in a relationship with Amit for almost all of their marriage, the jurors heard. Deposing before the court through a statement, Sharad Patel, Jessica’s uncle, said she revealed to him the impact of this relationship on her marriage in 2012. “She said that he would come home from work and go into another room and talk on the phone to a male called Amit, a doctor who now lived in Australia. This was happening every night and he would spend hours talking to him,” Patel said. Mitesh, denying the charge, claimed he found their home burgled when he came in from a walk. The jurors were told that the break-in was staged by Mitesh himself. The trial is expected to continue for a month.